Over the years, FireStone Audio has made its name with high quality small form factor desktop headphone amp and DAC. 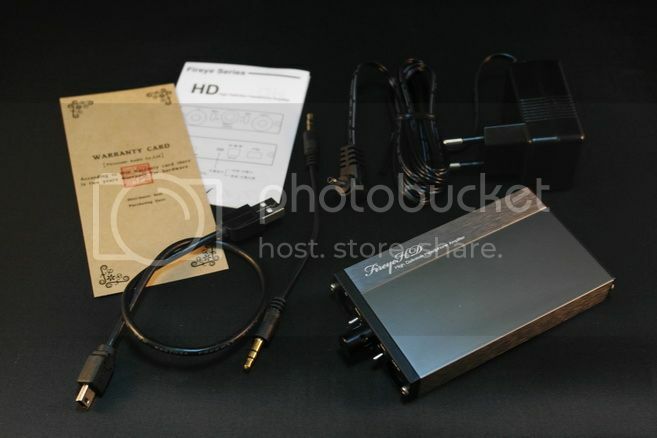 In fact, my very first desktop amp is the company’s Little Country 2 hybrid OTL amp. Recently, they also venture into the world of portable amp. Here we take a look at some of their latest offering, the Fireye HD and Mini, priced at US$399 and US$38 respectively. Usage Time: With 100% full battery around 24hrs, depending on volume used. Dimensions: 40 x 24 x 9 mm (D x W x H). 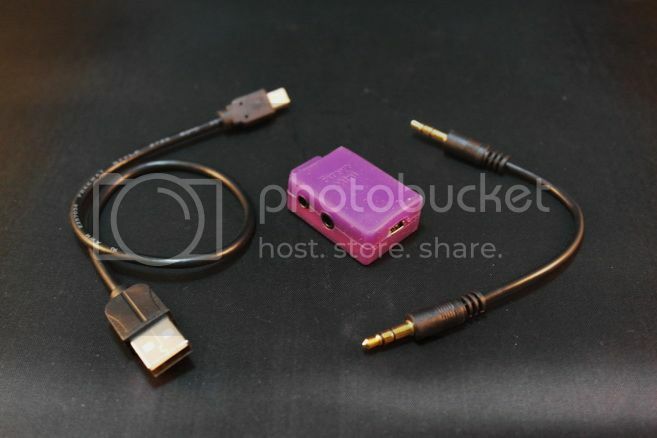 Accessories wide, both amps come with a short USB cable for recharging and a short 3.5mm interconnecting cable. 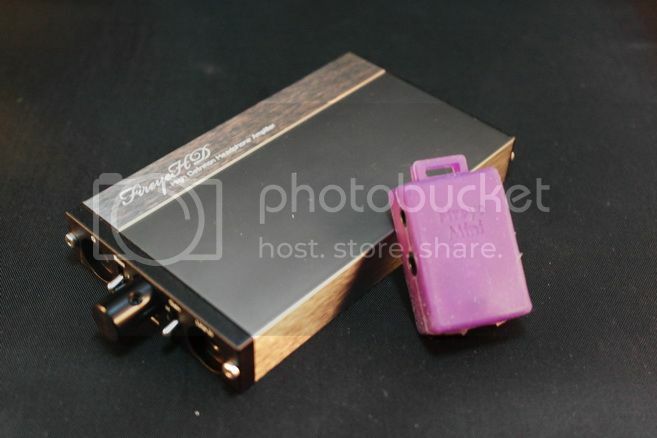 The FIreye HD comes with an extra fast charger that will shorten the recharging time to 2.5hours. Build quality wise, both are excellent. 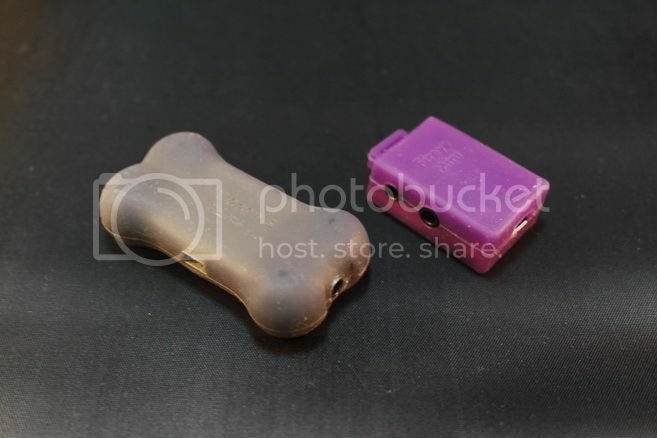 The Mini has a soft silicone shell that isn’t meant to be crash-proof in anyway. But given it is designed as an inline amp for small devices, such as smartphone, it is still adequate - just don't sit on it. 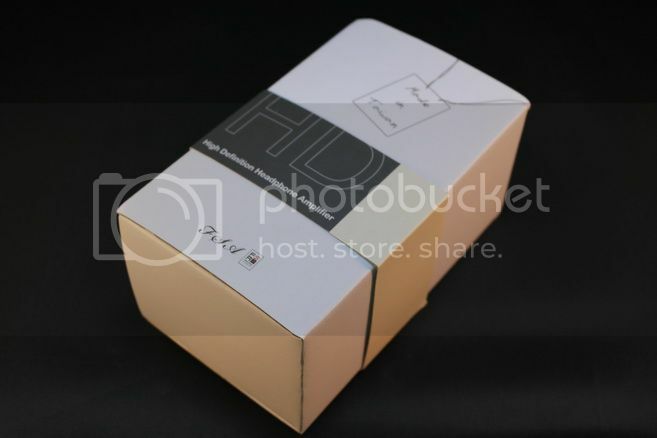 On the other hand, HD looks and feels like a premier product. The aluminium case has a two tone texture and gives a very classy impression. The only minor complain I have is that all the letters are silkscreen printing so they will wear off in time. It would have been much better if they are either lasered or anodized on permanently. The Mini has a quoted battery life of over 24 hours and the HD has a quoted battery life of over 8 hours. I didn’t fully drain either one of them but the actual usage doesn’t seem to vary much from the listed spec. One thing worth mention is that Mini doesn’t have a dedicated power switch. Instead, the amp turns itself on automatically when a headphone is inserted. Gain wise, Mini has a fixed +6dB gain and HD is about +7.4dB in high gain and -14dB in low gain. 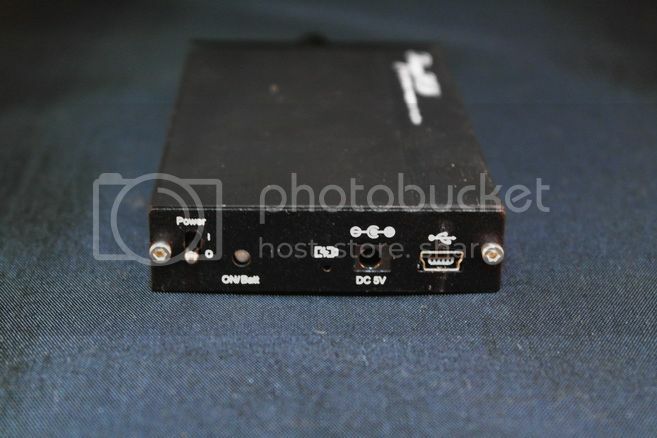 That being said, HD in low gain is best used with line level signal input. 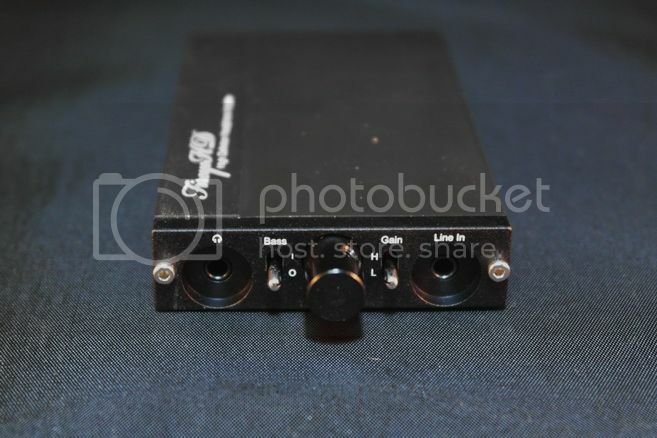 Hiss wise, both amps performed extremely well with no detectable hiss when used with the very hiss prone Shure SE530. EMI wise, Mini performs excellently. 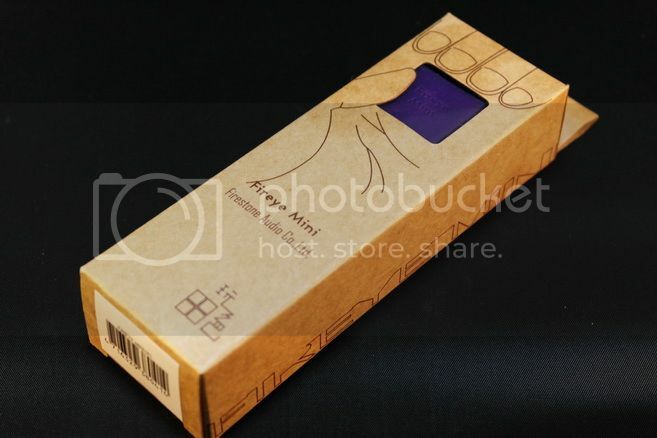 This is a big plus since ultraportable inline amp like Mini is usually the choice of casual smartphone-as-source user. HD on the other hand doesn’t fare quite as well. EMI is noticeably loud, though not in any deafening volume. Size comparison (from left): JDS Labs C421, Fireye HD, Leckerton Audio UHA-4 and Fireye Mini. Basic RMAA measurement doesn’t reveal much issue with both amps. 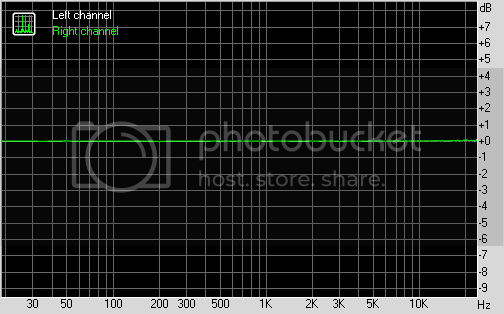 HD actually performance quite well, flat from 20Hz to 20kHz and has really low noise. Mini has a mild sub-bass roll-off under 100Hz and reaches -1dB @ 30Hz, but otherwise decent. Since the roll-off doesn’t change with load impedance, it is likely caused by input capacitor that is required by the opamp for DC blacking. Output impedance is measured at 10 ohm for both amps, mainly because of the added output resistors needed for both opamps to avoid instability issue. Because of the rather high output impedance, the current output is not particularly good on both. Enough for typical load, but low impedance load will likely suffer. All and all, neither amp are particularly suitable for low impedance or multi-driver load, such as multi-driver custom IEM that tend to be under 16oom and has a crossover circuit. More likely they will perform better with higher impedance load that tend to demand less current and have lesser tendency for impedance interaction that causes coloration. As far as subjective listening goes, HD sounds very clean, resolving and transparent, if not just a tiny bit more forward and gives it a tad of warmth and fullness that are easily missed if not listened very carefully. Even with the very slight forwardness, it still has an excellent overall soundstage. The only minor gripe I have is that the bass hits just a tab softer than I like - otherwise, Fireye HD is easily a top-tier sounding amp that can compete against O2, Meier Audio Corda StepDance or JDS Labs C421 alike. 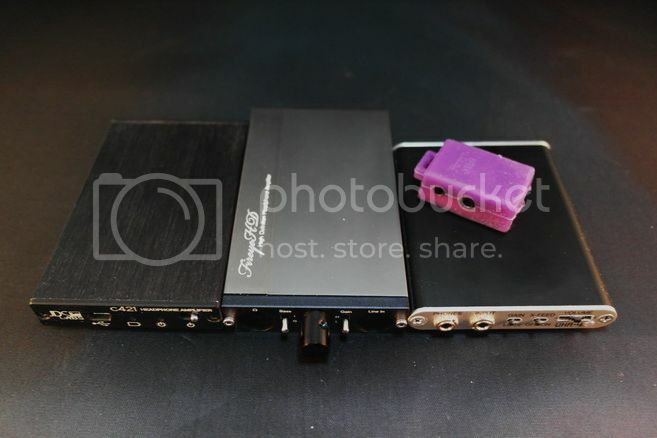 Fireye Mini on the other hand is more comparable to FiiO E6 and digiZoid ZO2.3. 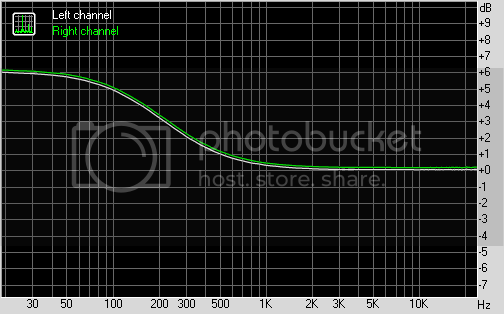 Bass impact is noticeably less powerful than E6, likely because of its sub-bass roll-off. But otherwise, Mini offers a cleaner presentation with better resolution, layer and wider soundstage that is a lot closer to a mid-fi portable than an entry level. However, it is still an entry level sounding amp so it is not going to crash any of the really good sub-$100 amp any time soon. However, as an inline ultraportable designed to boost volume, it performs admirably. Fireye HD comes with a bass boost switch. 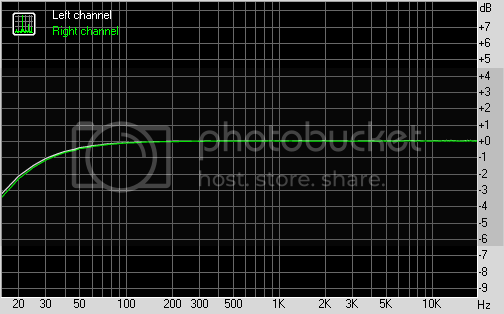 It starts around 1~2kHz, reaching around +2.5dB @250Hz and peak at +6dB @ 20Hz or so. It is quite a broad bass boost though audibly it is actually fairly mild and doesn’t affect the mid as much as the FR curve would have otherwise suggested. It is actually quite pleasant and non-intrusive. All and all, both Fireye HD and Mini come out strong in performance in their respective category / competition. The two things that really put them down are the high output impedance, and Fireye HD’s price tag. High output impedance means they will never be the best pairing with many higher end IEM that are low in impedance and in multi-driver setup. Fireye HD high price tag also puts it in a tough spot since the recent trend in portable amp world is ‘high performance + low price’. Even though Fireye HD is every bit as HiFi sounding (and looks much more classy), it is facing some really stiff competition from the $200~$300 range. To FireStone, my advice is to find a way to lower its price, which will make it a lot more competitive in the increasingly crowded portable amp market. Given that there are more and more higher-end IEM users willing to invest in portable amp, designing amp in lower output impedance is also the way to go. As for the user, I’ll advice using both amp with either single driver or high impedance headphone and earphone (*IEM included). That way, coloration or current demand will be much less of an issue. One thing I like about both amps is that they have quite high a gain while still remain almost hiss-free, so getting loud without much side-effect is a strong point for both amps. Mini’s immunity to EMI also serves as a great plus especially for smartphone user where headphone-out doesn’t have enough volume. HD on the other hand is best suited to drive full size. Though I am not sure how it will go with 600ohm load, I’ll bet most of the 250ohm and under should do really well with it.